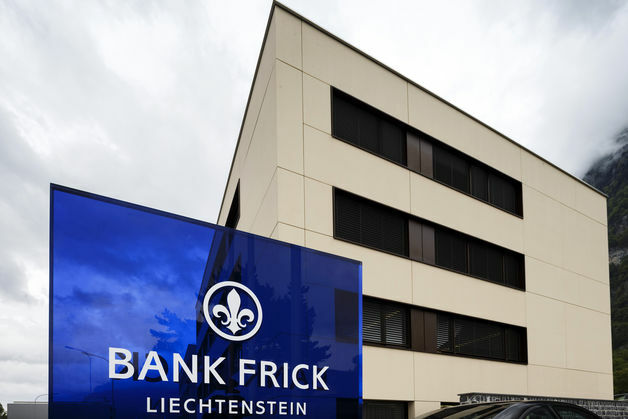 The murdered chief executive officer of Bank Frick & Co. AG had sued his alleged killer for extortion three years ago, according to the Liechtenstein private bank. Juergen Frick, 48, was shot yesterday in the firm’s underground garage in the town of Balzers. The suspect, Juergen Hermann, fled the scene and appears to have later committed suicide, according to a police statement. Hermann, a fund manager who has been embroiled in a dispute with the government and Bank Frick, used the firm as his depositary bank, Sigvard Wohlwend, a spokesman, said by telephone today. After the fund’s board of directors stepped down in 2004, Hermann named himself sole chairman, prompting investors to pull money, Wohlwend said. The bank reported him to regulators and the fund was liquidated in 2005, he said. Hermann blamed the government and regulator for destroying his company, according to a website registered under the name Juergen Hermann of Hermann Finance AG. He had filed lawsuits seeking recovery of 200 million Swiss francs ($226 million) from the government and 33 million francs from Bank Frick, according to the website. His lawyer declined to comment when reached by telephone today. Hermann had been “publicly hostile” to the country’s Financial Market Authority and some of its employees, forcing it to take security measures in consultation with the police, according to FMA spokesman Beat Krieger. Bank Frick today named Chief Financial Officer Roland Frick and Chief Operating Officer Edi Woegerer as interim CEOs. Roland Frick, one of the bank’s founders, had been responsible for risk management and financial reporting, while Woegerer has worked at the firm since 2000, Wohlwend said. Bank Frick, which specializes in wealth management and investment advice, managed about 3.5 billion Swiss francs of assets on behalf of clients at the end of 2012, according to its website. The bank’s chairman is Mario Frick, who was prime minister of Liechtenstein from 1993 to 2001. The firm was previously part-owned by Bawag PSK Bank AG, the Austrian lender that almost collapsed because of its links with failed U.S. futures firm Refco Inc. Bawag owned 26 percent and Refco had a 4 percent holding in Bank Frick, according to a report by the Austrian Press Agency. After Austria bailed out Bawag in 2006, the company sold its stake in Bank Frick, according to a paper published the following year on the European Commission’s website.